Instagram Stories could well have been a complete disaster. But it wasn’t, and it’s turned out to be a major part of what is happening right now on social media. In fact, the case for taking on Instagram Stories as part of your marketing efforts is now stronger than ever. We’ll take a quick look at how it came about, and also how things are changing for the platform, especially with the way it is being used by marketers in recent times as now it’s become a major part of the marketing arsenal. Instagram Stories started as a simple bar at the top of the user’s feed. It allowed everyone who used Instagram to share their stories with other users. The beauty of the feature was that users simply clicked on a profile and the Story for that user rolled out full screen. It looked amazing, and it instantly showed how Instagram made the perfect marriage between image and text. It was fun, easy to use, and instant enough for er…Instagram. What’s more, right from the start Stories offered pretty strong analytics. Though still expanding their ‘stories’ metrics, marketers can jump right in and pull out the data they needed to show value. The whole package was excellent, and so incredibly powerful almost nobody noticed that it was very similar to Snapchat Stories, which came out much earlier. Okay, we lied a little there. Everyone saw the instant similarity to Snapchat Stories, but to be honest, the Instagram version was so amazing that it blew away comparisons. The case for using it as part of marketing became very strong very quickly. Brands started pushing out Stories that showed a behind-the-scenes look at what was going on at their company. 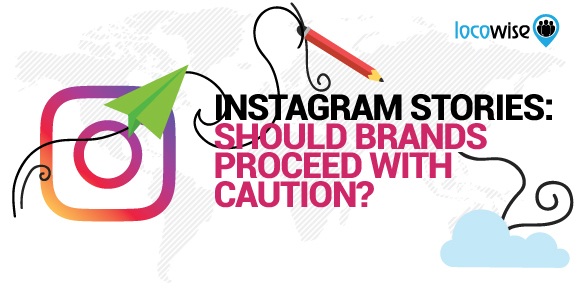 This quickly became kind of saturated, but when the trend first started, it made a brand’s Instagram feed seem less about glossy and smooth photos, and more about real authenticity. Then ‘takeovers’ became huge on Instagram. Here is where a brand would literally take over another brand’s feed and then offer their own content or even just hang out. It worked, and soon became a big part of the Influencer movement, arguably adding to its fast growth. The takeover idea was perfect for Instagram too, with high-quality visuals and an audience that was young and fun enough to engage. It also became a great place for live video, because although Stories and Instagram, in general, aren’t about long-form content production, a good live video piece definitely had a place on the platform. Also, it meant that there was even more engagement because live doesn’t just mean quick and gone, it means even more exclusive. The ephemeral nature of Instagram meant that everything was quick to leave the feed. The live aspect made it even more fun. There are conditions for that last part. Having links on your page does require you to have over 10,000 followers, so businesses with less than that just can’t do it. Facebook has taken a good look at what Instagram Stories is doing with links (they’re essentially becoming very useful for engagement) and is currently trialing links on Facebook Stories. 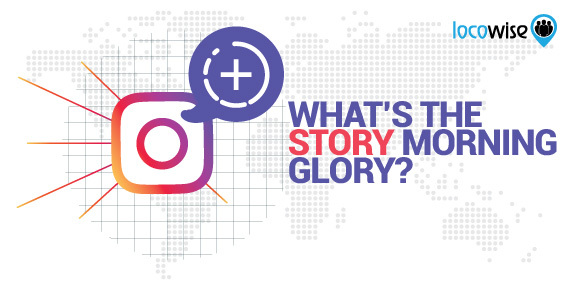 Facebook Stories has a significantly smaller user-base than Instagram Stories does, but the point is that Facebook is noticing what it’s acquisition has achieved with Instagram Stories, and wants to copy that success. Ads are also becoming huge on Instagram Stories. KFC Italy recently ran an ad campaign using video on Stories and saw a huge increase in engagement. And the good news here is that Instagram Stories ads look gorgeous, allowing full video campaigns to run as smoothly as you could ever want them to. Grab a hold of Instagram Stories, and use it to have fun. That’s the main thrust. Use video to contextualise ads, and links to bring in more website traffic. It’s only going to get bigger, and we think the quasi-endorsement created by its parent company planning to add linking to Facebook Stories pretty much says it all. If you want to master your own analytics, try Locowise for free for seven days. That’s completely free, and incredibly useful.